The Affordable Care Act's Employer-Shared Responsibility (ESR), otherwise known as Play or Pay, is here! Not only are employers struggling to apply the once-abstract-but-now-actual complex and convoluted rules and regulations, employers are facing yet another hurdle – Affordable Care Act (ACA) Information Returns (AIR). Determine if it is an Applicable Large Employer (ALE) subject to Play or Pay. If an ALE, when does Play or Pay begin? Determine “full-time” employees using either the look-back measurement method or monthly measurement method. Determine whether the lowest cost of minimum value self-only coverage is “affordable” and which safe harbor is being utilized. Determine the date by which the offer of coverage must be made to each full-time employee. For self-funded groups, gather information on all persons on the plan. Based on calendar year 2015, all ALEs and employers that offer self-funded coverage will report on Forms 1094 and 1095 (B series or C series depending on size and funding source; hereafter, “Forms”). For calendar year 2015, Forms are required to be filed by February 29, 2016, or March 31, 2016, if filing electronically. Employers filing 250 or more 1095 Forms must file electronically using AIR. Naturally, the IRS is encouraging electronic filing of all Forms. As a side note, the ESR timelines track the W-2 filing and distribution timelines. Employees on the plan must receive Form 1095 by January 31 (February 1, 2016, as January 31, 2016 falls on a Sunday). However, it should be noted that AIR does not interface with FIRE, a separate IRS electronic system. The issue at hand for employers required to file electronically is whether to outsource to a third party, known as a Transmitter, or complete the process internally. The rest of this article will assist employers in analyzing the issue. Keep in mind, this information is general, and it is written for employers who may choose to or are required to file returns electronically on the ALE’s own behalf as the intended audience. There are a series of steps that must be undertaken to successfully set up and use AIR. Generally, employers transmitting their own ACA Forms are known as “Issuers.” A “Software Developer” is an organization that writes either origination or transmission software according to IRS specifications. Step 1 – Get Informed. Sign up for the IRS Quick Alerts to receive important, timely information regarding AIR. Step 2 – Identify Responsible Officials and Contacts. An employer who plans to report internally must identify a responsible officer and contacts. The IRS defines a “Responsible Official” as an “individual with responsibility for the authority over the electronic filing of ACA Information Returns operation at the firm or organization location.” The Responsible Official is the first point of contact with the IRS, has authority to sign original/revised ACA Information Return Application for TCC Credentials, and is responsible for ensuring adherence to all requirements. The IRS encourages more than one Responsible Official. A “Contact” is an individual who is available on a daily basis, can assist the IRS with any inquiries, and who may be responsible for transmitting. Step 3 – Register with the IRS. Responsible Officials and Contacts must register with the IRS and complete the e-Services Registration to obtain login credentials, a PIN, and authentication. Authentication requires individuals to supply personal and taxpayer data to the IRS. Once registered and authenticated, the IRS will physically send a confirmation code via the U.S. Postal Service to each registrant. Each individual must log in within 28 days to confirm registration and activate the IRS user account. As of June 29, a Responsible Official can apply for the company’s TCC. At least one Responsible Official must be listed on the application; however, the IRS encourages more than one designee. Additionally, there must be at least two, but no more than 10, Contacts designated per application. Personal information is also required for this step. A Responsible Official can also be a Contact. All Responsible Officials will be required to sign the application using their e-Services PIN before submitting the application. During the Application, the Responsible Official will need to identify the roles for which the company is applying. An “Issuer” is a company that is filing the Forms electronically. If the company is writing either origination or transmission software, it is a “Software Developer.” A company can be both an Issuer and a Software Developer, in which case there will be more than one TCC. The application will also require the transmission method for Issuers or the transmission method(s) the software packages will support. The A2A System Enroller involves a machine-to-machine process that allows Issuers or Software Developers to create XML and send to the IRS as Simple Object Access Protocol (SOAP) message. An A2A Transmitter must complete the Automated Enrollment Process to obtain a certificate prior to transmitting returns to IRS. Alternatively, the AFA for ACA Internet Transmitter is a web user interface that allows Issuers or Software Developers to file forms with the IRS and check submission status. If you are developing a software package within your company and solely for your company’s use, as a Software Developer, you should select the In-House Package. Additional information about the software package and transmission method is required on the application. For more information and a tutorial, see Draft Publication 5164, Draft Publication 5165, and the Tutorial for ACA Application for TCC. Once the ACA Application for TCC is processed and completed, TCCs are sent via the U.S. Postal Service. You can also find the TCCs on the summary screen of the applicant’s online application. Applicants will receive a TCC for each role selected on their application. The IRS will have testing available sometime… soon, hopefully. The ACA Assurance Testing System (AATS) is described in detail in Draft Publication 5164. Through the testing, the IRS can confirm that: (1) Software Developers and Issuers can send electronic information returns and retrieve Acknowledgments; (2) Software Developers and Issuers use the correct format and electronic filing specifications for AIR; and (3) the IRS can receive and process the electronic information returns. Issuers must use approved software to prepare and transmit AIR returns and are required to complete an error-free communication test to transmit electronic information returns to the IRS. During the testing phase, the company will receive a Receipt ID and acknowledgment identifying errors, if any. 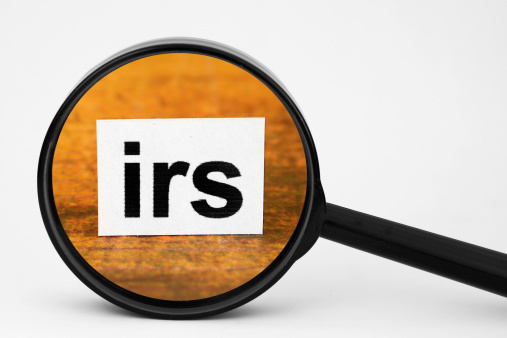 The IRS has not released the AATS (Step 6). Will there be a delay, or a false start? At this point, nobody knows. However, by now, you have a general understanding of the work involved and the considerations necessary for filing Forms in-house. Before diving into this massive undertaking, it would be wise for employers to run a time versus cost analysis, considering “time” factors such as time dedicated to the AIR undertaking, time needed for tracking full-time employees, and time required for familiarizing oneself with the many codes on the Forms versus the cost of outsourcing to a third-party Transmitter. To save yourself the headaches of keeping up-to-date with ever changing regulations, a consultation with your trusted employee benefit advisor is recommended, as they can help assess your needs and recommend a preferred third-party Transmitter, if this is the best solution for the needs of your business.